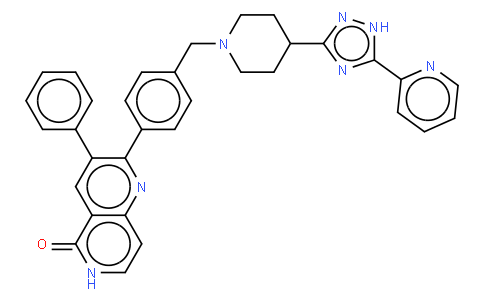 Akt1 and Akt2-IN-1 is an allosteric inhibitor of Akt1 (IC50 = 3.5 nM) and Akt2 (IC50 = 42 nM), with potent and balanced activity. Akt1 and Akt2-IN-1 has moderate activity in an hERG binding assay (IC50 = 5610 nM) and is a substrate for human P-glycoprotein (MDR1 Directional Transport Ratio (B to A/A to B) = 17.6). Akt1 and Akt2-IN-1 also shows good physical properties with a human plasma protein binding of 97.3% and a logP = 3.51.